After five years serving up guilt-free fried chicken, Clutch has recently relaunched with new menus, a brand new bar, and a refreshed design, and to celebrate we’ve hooked up with them to give away a mega prize of unlimited food and cocktails for you and four friends at the fried chicken joint’s 5th birthday on December 5th. Clutch uses sustainably farmed British free-range rare breed poultry from Blackwell’s farm, which are brined and then fried in quality groundnut oils, making each dish low in cholesterol and trans-fat free, so technically it’s good for you right? 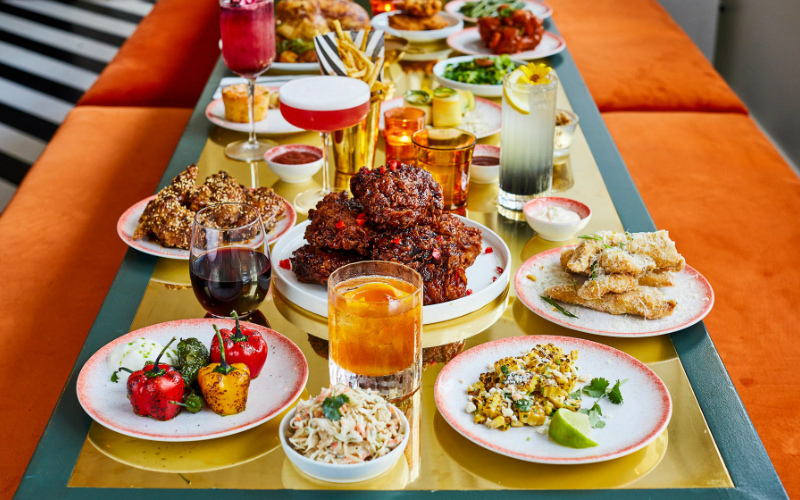 As well as that bangin’ fried chicken, the menu has been expanded to include gluten-free and vegan options as well as new puds, new brunch dishes and an epic Sunday roast. The drinks list has also had a revamp and now features music-themed cocktails, wines and local beers. If you want to be in with a chance of winning this almighty chicken feast, drop your email into the box below. This competition closes on Tues 20th November 2018 at noon. Prize includes ticket for 5 people on Weds 5th December 2018 at the private birthday event at Clutch. Unlimited food and drinks from our menus on offer that day for all 5 people. Winner will be contacted by Clutch and prize is not transferrable for cash or voucher. It is up to the winner to confirm their booking on the night with Clutch. Only valid at Clutch on 5th December 2018.